It's no secret that I love yogurt. 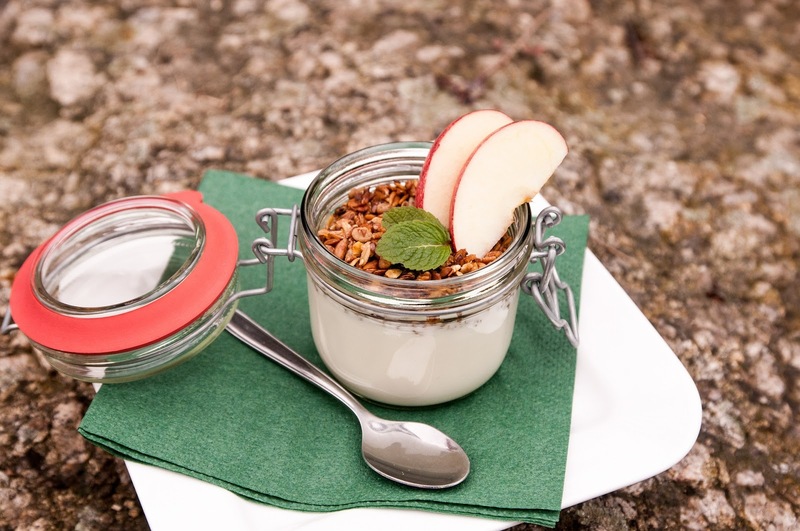 In recent years there has been an influx of some really good organic (or at least, premium) yogurts out there. But like most organic and natural things that taste terrific, they come with the natural/organic price that makes me wince. A four pack of my favorite yogurt, Noosa, costs me about $5.99 when it is not on sale. That's four 4-ounce containers. I pay $3 per cup of the stuff! Now, granted, it's good yogurt, but it's not $3-a-cup yogurt. I would argue there is no yogurt worth $3 a cup, unless it promises me 100 more years of youth. I've been eating yogurt at least since preadolescence, and now at my rather (ahem) more advanced age, while some people claim I look about 15 years younger than I am, I can't really chalk that up to yogurt. To make this more ludicrous, I have three goats in milk (four, if you count Heidi, but her adult daughter insists on drinking from her). Tell me again why I'm buying yogurt when I could make it? A few years back, I made yogurt, but found it runny. I tried to increase the thickness of the yogurt by increasing the time it "cooked," but it didn't seem to help. So a lot of the yogurt went bad because it was slightly thickened milk. I brushed off one of my yogurt makers and located the jars. I then had to find a recipe, since I had misplaced the booklet from the yogurt maker. I found a recipe in Ricki Carroll's Home Cheese Making that made lots of sense. She recommends adding dried milk and/or pectin to thicken the yogurt. I opted for the dried milk, and had great success. But let's get to talking about how yogurt is made, first. You need three things when making yogurt: milk, starter, heat. Yeah, that's pretty much it. Oh, and you might want a container to put the ingredients in and a kitchen thermometer. Just a suggestion, there. Heat the milk and dried milk (if you're using it) to 180F. Mix starter or yogurt into the warm milk. I use the entire cup of yogurt. You can use only 2 Tbsp, according to the book. Keep at 116F for 6 to 12 hours. Stick in the refrigerator. You now have plain yogurt! An important note: you must get everything clean and sterilized. After all, you're culturing a type of bacteria, albeit, a good bacteria. The problem is if your jars or equipment has bad bacteria present. You take the bad bacteria out of the equation once you heat the milk above 165F, but putting it in jars that aren't sterilized is a sure way to grow the nasty stuff. I use bleach and rinse all my jars out well. Technically, you want a yogurt maker. They're not too expensive, and you can even purchase them at second-hand shops, if you're in a pinch. My first yogurt maker is a Deni 5600 1-Quart Electric Yogurt Maker, which is about as inexpensive as they come. I think I got mine for around $15 from Walmart, but the price has gone up since I bought mine. Basically yogurt makers only keep a consistent temperature so the yogurt can culture properly. I've heard of other ways to keep the yogurt warm, like using heating pads around a jar of yogurt or using blankets. If you feel inclined to try it, go ahead, but I can't recommend the results. You'll be probably putting the yogurt in one container rather than single servings (most yogurt makers come with glass jars for this). But honestly, the $20 investment is worth it. 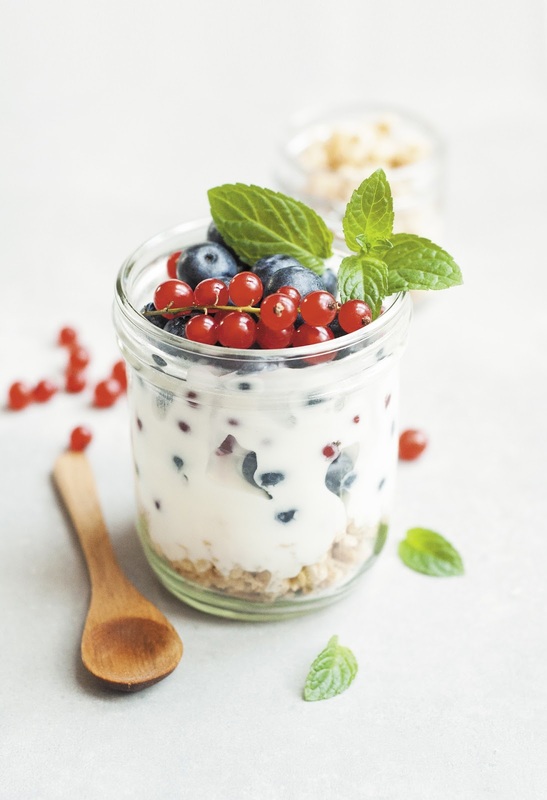 You don't have to take constant temperature readings, and you don't even have to keep an eye on the time with yogurt makers. The Deni bings when the yogurt is done. I swear I see starters available in stores, and I have to shake my head. They're usually $5 to $15, and honestly, you don't have to spend that much for a viable starter. Buy a good yogurt with live cultures in it. Get an organic plain yogurt (there are even goat's milk yogurt, if you wish) and use that as your starter. You won't need a starter again unless you let your yogurt go bad in the frig or if you eat all your yogurt and don't save any for the starter. So, you'll spend maybe one to two bucks for your starter yogurt (if you get the good stuff), and then, you'll be using about 6 ounces of your homemade yogurt for your next batch. So, plan that one of your yogurts will be the next starter. Assuming you have the equipment available like I do, the cost of making your own yogurt is worth it. I used up the excess milk my goats produce, so my cost for the first batch was $1.25 out of pocket. I already had the dried milk. So, this has become a very cost effective way of getting my yogurt. If you don't have a yogurt machine, you'll have to take into account the cost of the machine in your expenses. If you don't have your own dairy animals, you're looking at spending maybe $1 to $2 per quart of milk for about six 6-ounce jars of yogurt. So, at $1.50 a yogurt in the store, you're already saving about $7-$8 a batch. So, let's say you do buy milk and you have to buy a yogurt machine. We'll take $2 for the starter yogurt, $20 for the machine, and $2 per quart of milk. Each time you make yogurt, you save $9 you would have spent on commercial yogurt. So, after you make three yogurt batches, making your own will earn out, and from then on out, you'll be saving money. Okay, So I Have Plain Yogurt Now -- Now What? Now that you have plain yogurt, it's time for the good stuff! 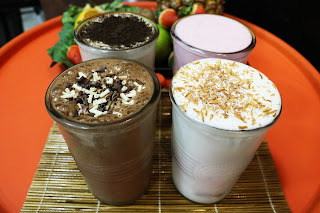 I love chocolate yogurt, so making chocolate yogurt with organic chocolate syrup, or mixing in a teaspoon of vanilla and adding chocolate chips is a favorite. (Add honey or raw sugar to your taste for sweetness.) Add the yogurt to a morning protein shake and fruit. Add a nut butter and chocolate chips -- yes, it is yummy! Use maple syrup instead of honey and you'll have maple yogurt. Mix in granola or muesli for crunch. If you want to have something more traditional, use your favorite jams or canned fruit so you can have strawberry, blueberry, huckleberry, or cherry yogurt. Yes, mmm, it is tasty! Let me know if you try this and if you have favorite ways you enjoy yogurt. getting two more free goats seemed insane. But then, they were cashmere goats. Which means fiber (wool) and a possible money-making opportunity. Whenever I think of cashmere goats, my mind goes right to the awesome song Cashmere by Led Zeppelin. Can't help it. Even now I'm hearing those amazing lyrics and guitar riffs. So, while I give you that lovely earworm, let's talk cashmere goats. Cashmere isn't a breed, or so I've been told. 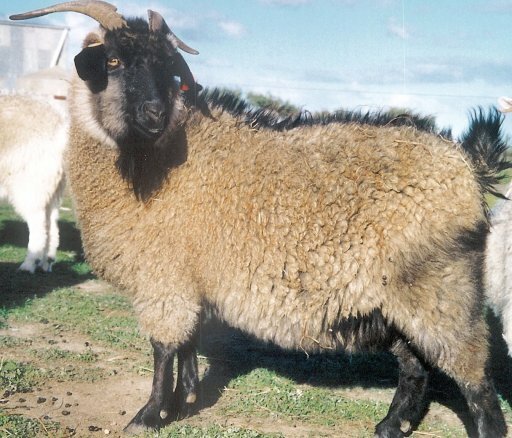 Cashmere is the hair that all goats produce (with the exception of angora goats, which produce mohair). The difference is that a Cashmere goat has long hair, which means a longer undercoat. Although you can shave them, it's better to comb them out when they're shedding, so you don't get many guard hairs. Cashmere is obviously a prized fiber, which is why the woman whom I got the goats from has them. Only, she hasn't sent the fiber in to be processed. So, they're basically expensive pets that eat hay. Okay, and what else would you do with them, really? "Local" in Montana means a two-hour drive one way. So, when I saw the ad for free cashmere goats, I found out that they were about two hours away, west of Missoula. So, I had my husband, Larry, load up the crate in the truck to accommodate them. I've had loose goats in the truck before, and suffice to say I still need therapy after that. Larry looked at the crate, which was big enough to house one Malamute, but scarcely big enough for a full-sized LaMancha buck, and asked: "You're getting two?" "The woman assures me they are smallish." I sounded far more confident than I felt. "They'll be fine together." Larry gave me a look like, yeah, right. Apparently, after more than 26 years of marriage, he knows me too well. Go figure. The trip to pick up the goats was uneventful, except the directions. Apparently the people had two addresses, and I chose the first, when I should've chosen the second. I ended up going down to a place by a creek with goats in the stable and a boarded up house. There, I saw the main buck of her herd--a real huge and impressive cashmere with lovely horns that curved to the side. No one was around, so I drove back out and went to the other house. There, a nice woman showed me her two goats. She was giving them away because the five year old doe came back to the herd and wasn't accepted. The younger buck was a buck she didn't need. The doe's name was Sapphira after the dragon in Eragon. The buck had no name. Knowing my husband's penchant for naming critters, I figured he'd come through with a name. We got the goats loaded in the Malamute-sized crate (for once, I had been right on the size), and I drove back to the homestead. I was somewhat concerned that my bruisers would cause problems with the new additions. I need not have been worried. 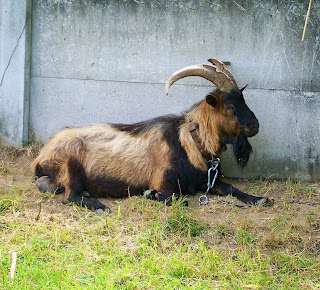 Sapphira put every single goat in their place, including Mocha, my huge Oberhaasli-LaMancha cross. The young buckling hung out with her. Larry chose the name "Merlin" for the guy. It fits nicely. Unfortunately, their former owners had combed Sapphira, so I had no fiber from her. I managed to get Merlin combed out, so I have his cashmere. It's not enough to process, but I have it and will be sending cashmere to get processed once I get enough to send out. In the meantime, Sapphira is supposed to be pregnant by that big buck I saw, and Merlin is my new breeding buck, until the bucklings come online. Then, Merlin will be a wether, most likely, who produces cashmere for me. That's not a bad life for him, actually.